The Banda Musicale S.O.C. N.S. 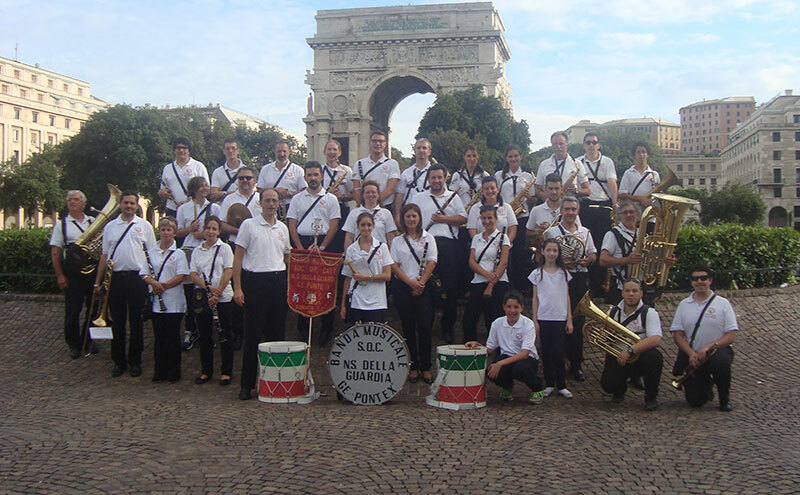 of the Guardia of Genoa Pontedecimo was founded in 1880 and it represents one of the oldest music associations of Genoa. The orchestra is composed of about 40 musicians from 12 up to 91 years old and its directed by Maestro Davide Calcagno. Nowadays it represents an important cultural reality of the territory and it participates in many music appointments: parades, concerts and religious events. 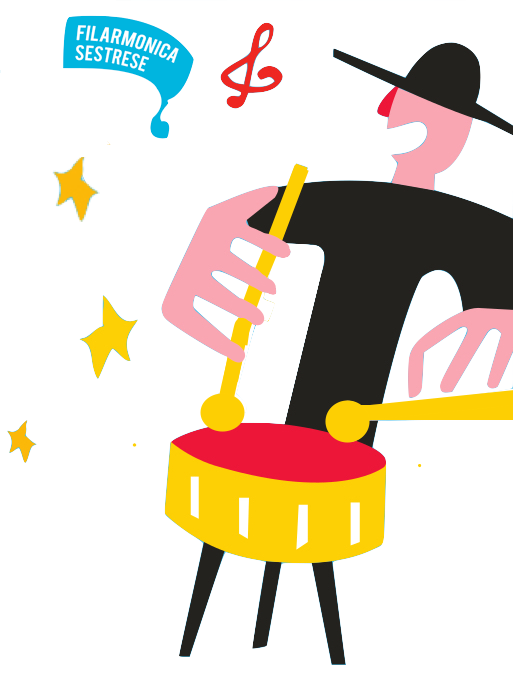 Since 2011 promotes the music teaching in primary schools through a laboratory in 7 schools of the Town Council of Genoa and surroundings involving about 800 children. Thanks to the growth of its activity and the increased number of music students, this year has been instituted a Junior Band formed by young musicians all coming from the Band music school.